When an allegedly ISIS-related Twitter account published a tweet on Saturday, taking responsibility for KGL-9268 crashing in the Sinai peninsula, officials from both Russia and Egypt quickly denied the possibility. For a few days, the idea that the militant group was indeed involved was put to rest; then on Wednesday, multiple U.S. intelligence officials told CNN that a bomb planted by ISIS or one of its affiliates is what most likely brought down the jet. The group's claim of responsibility for the KGL-9268 crash clearly has us confused, and that may be because this isn't the first time ISIS has claimed responsibility for an attack. The information from U.S. officials may have been the first to connect a possible explosive to the militant group, but government sources from other countries had already made claims about the likelihood an explosive device was used. A Middle East source said it was likely a person who placed a bomb aboard the aircraft, CNN reports, and British Foreign Minister Philip Hammond said the possibility was significant that an explosive was the cause of the crash. Understanding which attacks ISIS has had a hand in would seemingly provide foreign intelligence officials with a clearer picture of not only what kinds of activities ISIS involves itself in, but also what the group is capable of carrying out. 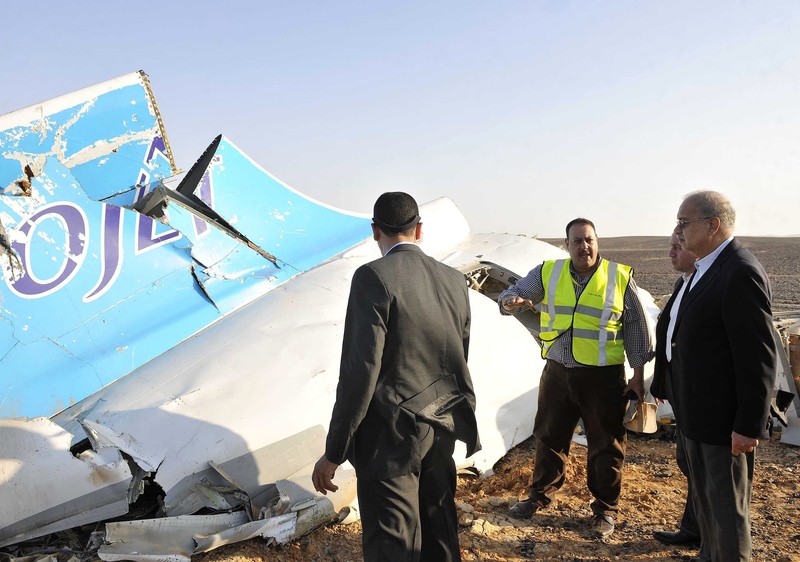 But until investigators of the crash can access some sort of evidence proving ISIS members' involvement, the mystery surrounding the deaths of the 224 people on board still stands. And if past incidents are any indicators, we may never know what kind of role ISIS actually played in the deaths of those on board the Russian jetliner because ISIS has made claims of this kind before, and officials have found a lot of difficulty in drawing any formal conclusions. In May, a radio announcer on an ISIS-affiliated radio station claimed responsibility for the shooting outside a community center in Garland, Texas. The announcer referred to the gunmen, Elton Simpson and Nadir Soofi, as "soldiers of the caliphate," but whether or not the pair had any substantial ties to the organization could not be definitively proven. An analysis of Simpson's tweets by CNN did reveal ties between the shooter and a British ISIS recruit, as well as an American jihadi, but a lack of certainty persisted on whether these outside connections had any part in planning the attack. Similarly, it was a Twitter account allegedly connected to the militant group that drew connections between ISIS and the Umpqua Community College shooting in Oregon at the beginning of October. A published tweet stated the word, "Again," along with the hashtags #Oregon and #ISIS. Though witnesses said the gunman, Chris Harper Mercer, asked students to state their individual religions during the shooting, no evidence showing a direct connection between Mercer and the Islamic State was ever revealed. The cyber behaviors of the terrorist organization, particularly in regions outside its home bases in Syria, may help foster the kind of confusion currently surrounding the KGL-9268 crash. The relationship between ISIS members and non-members can exist primarily through social media and messaging apps and generates a casualness that often prevents foreign investigators from measuring the reach of ISIS' influence.